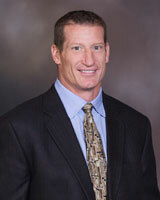 Senior Portfolio Manager Don Davey is the first and only four-time Academic All-American in NCAA history. After graduating with honors with both Bachelor's and Master's Degrees in Mechanical Engineering from the University of Wisconsin, Don went on to play for nine seasons in the NFL with the Green Bay Packers and Jacksonville Jaguars. During his NFL career, he relied upon his extensive background in statistics to develop the firm's unique philosophy of Portfolio Engineering. 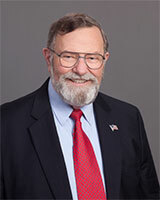 Don launched DEM in July of 1998 in response to requests from investors seeking to duplicate his disciplined approach. Don and his wife Kristen live in Atlantic Beach, Florida with their five daughters Livy, Carly, Kuki, Chloe, and Kasey. He is an avid triathlete and has completed eight Ironman distance triathlons. Brett Richardson serves as DEM's Operations and Compliance Officer. He earned his degree in Finance from Florida State University and is currently in the midst of earning his certification as a Chartered Financial Analyst. 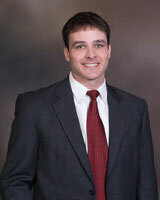 Prior to joining DEM, Brett worked as an accountant for both Bing & Associates and The LBA Group. He lives in Jacksonville and enjoys hunting, fishing, and golf. As a CERTIFIED FINANCIAL PLANNER™ at Disciplined Equity Management, Inc., Lonnie Brooks prepares sophisticated financial plans using state of the art software for financial planning clients. Lonnie Brooks and his wife Pat live in Ponte Vedra Beach and are the parents of two children. Meredith lives with her husband and two children in North Carolina. Jeff is a teacher and lives in Austin, Texas with his wife and daughter. Sarah Callaway serves as DEM’s Office Manager. She has a Business Finance degree as well as an MBA from the University of Phoenix. Before joining the DEM team, she proudly served the United States Navy as a Sonar Technician as well as worked two years at the New York Times winning the coveted Star Award. She lives in Jacksonville with her husband, daughter, and bulldog. On the weekends, she enjoys going to the beach, playing with her daughter in the park, and Sudoku puzzles. Rebecca Phillips serves as a CERTIFIED FINANCIAL PLANNER™ in DEM’s Atlanta office. 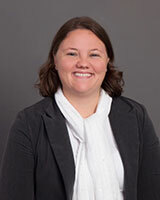 She earned her degree in marketing from the University of Tennessee and completed her CERTIFIED FINANCIAL PLANNER™ designation through Oglethorpe University in Atlanta. Rebecca began her career in the financial services industry in 1998 at the former Worsham & Sammons Wealth Management firm, where she was employed for 10 years until the firm was sold. 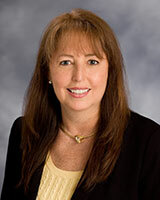 When the firm sold in 2008, Rebecca held the dual positions of Portfolio Manager/Chief Compliance Officer. She was promoted to and held the position of Portfolio Manager in the new firm until joining DEM in December 2012. 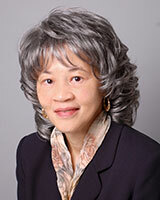 Debbie Boyce serves as Client Services Manager in DEM’s Atlanta office. Debbie has worked in the financial services industry for over 20 years and has been working with Rebecca since joining Worsham & Sammons Wealth Management in December 2002. Debbie’s primary responsibilities include working closely with new and existing clients on an administrative level processing service requests.